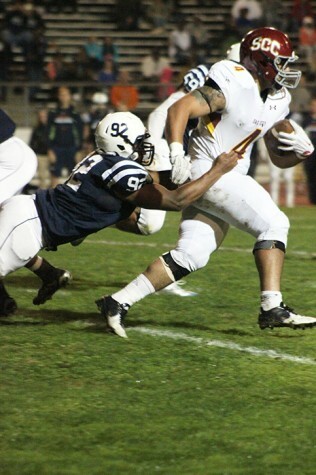 American River College’s offense erupted for 21 unanswered points in the third quarter of a 38-18 rout of Sacramento City College in the final regular season game. Following the playoff committee vote Sunday morning, ARC will not compete in the playoffs but will still host San Joaquin Delta College in the Gridiron Classic Bowl this Saturday. ARC beat Delta early this season by a score of 44-24. Sac City kept the score close early, as ARC led 14-11 heading into halftime. Shyne finished the game with 119 yards rushed and two touchdowns on 26 attempts, as well as three catches for 27 yards. Osterhout said that the team settled down after a first half in which ARC allowed Sac City to compete. The game was ARC’s best offensive performance all season, as the team finished with 623 total yards, over 100 more than any other game this season. Quarterback Jihad Vercher also had his best night of the season, throwing for 353 yards with two touchdowns on 22 of 34 completed passes and a touchdown run. ARC wide receiver Jonathan Lopez, who caught both of Vercher’s touchdown passes, said that his camaraderie with Vercher has led to on-field production throughout the season. By the start of the third quarter, ARC led Sac City 35-11 and the majority of their offensive starters were done for the rest of the game. Sac City scored its first of two touchdowns on an 8-yard run by running back Dwayne Darden in the second quarter following a fumble by ARC. Sac City’s second and last touchdown came in the last 10 seconds of the game on a 24-yard pass from Sac City quarterback Taylor Laird to wide receiver Maceo Clinton. Running back Ce’von Mitchell-Ford, who received the majority of the snaps at running back over the last five games, didn’t play a snap Saturday as he was recovering from a minor ankle contusion that he suffered during the Nov. 7 loss to Butte. 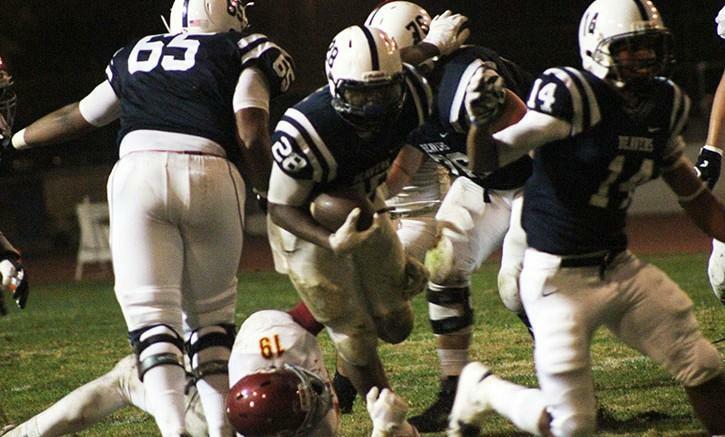 Be the first to comment on "ARC crushes Sac City with second-half surge"